We continue to pursue excellence in occupational health and safety to better protect our employees, contractors, neighbors and the environment from hazards. Safety is, and always will be, our number one priority. We encourage all employees and contractors to maintain a diligent focus. 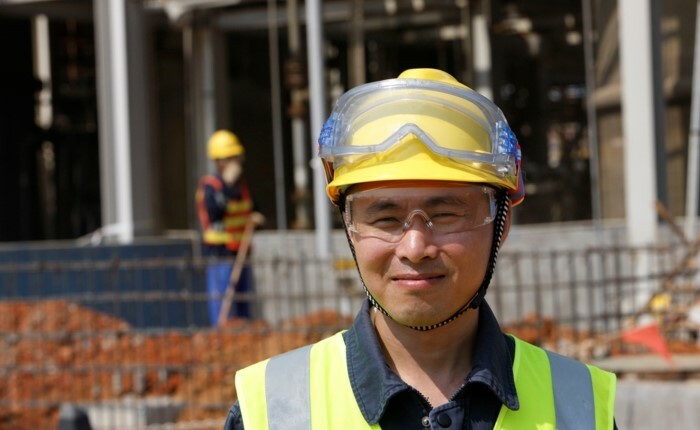 We prioritize effective project planning, adherence to all operating procedures, recognition of potential hazards, proper use of personal protective equipment (PPE) and personal accountability. We use a number of leading indicators at all of our sites, including a focus on near-miss identification and reporting so we can prevent more serious injuries from happening in the future. While our total recordable incident rate (TRIR) is significantly below the chemical industry average in the United States, we continue to focus on cultural and leadership assessments as well as priority site reviews. We use the definition of recordable incident established by the United States Occupational Safety & Health Administration (OSHA). We have remained consistent in the occurrence rates of total recordable incidents and lost time. We did not experience any employee or contractor fatalities in the listed years. We conduct a thorough evaluation of every incident, including "high potential near misses," to understand the root cause of such incidents and assess how we may implement measures to avoid similar safety risks in the future across our global operations. Throughout the years, these incident learnings and our strong safety culture have kept us an industry leader in safety performance and we will always focus on continuous improvement to achieve our goal of zero incidents. We are committed to building and operating our manufacturing facilities according to stringent standards in order to decrease the risk of process safety events (PSEs). While only two of our facilities are required to meet the strict compliance requirements of the Occupational Safety Health Administration's (OSHA) Process Safety Management (PSM) regulations, our program includes all of our manufacturing operations worldwide. We analyze root causes to prevent future incidents, and we report our PSEs using the widely known Center for Chemical Process Safety (CCPS) definitions. We continually benchmark and evaluate other manufacturing companies’ process safety programs and investigate best practices in order to improve our own programs. Support for these activities comes at the highest level with the Process Safety Executive Steering Team that meets regularly to review current issues, discuss program enhancements, and provide leadership and support for the process safety program. We have made good progress towards our goal of designing, building, operating and maintaining our facilities with zero PSEs. Similar to the way in which we view all safety and environmental incidents, each PSE is analyzed to understand its root cause. To help ensure incidents occurring at a given facility are not repeated at another, we share lessons learned and corrective actions throughout all of our facilities worldwide. We continue to see improvement in our performance as measured by the reduction in our internal measure of significant process safety events, but also in the direct and indirect cost of these events. These events are also categorized using the criteria specified by the Center for Chemical Process Safety (CCPS). 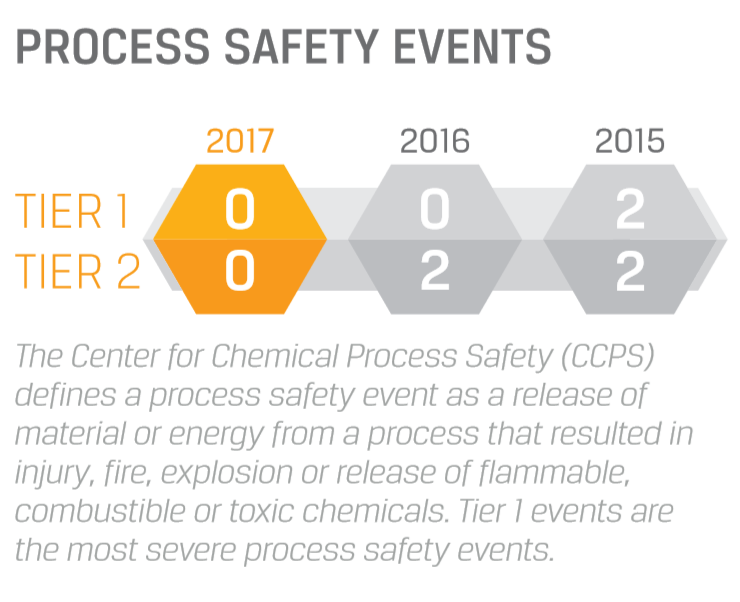 In 2017 we had zero Tier 1 or Tier 2 process safety events. To ensure our global organization learns from these and other process safety events, our facilities initiate thorough root cause investigations, the outcomes of which are reviewed by the facility with Cabot senior management. The result is then broadly distributed to mitigate similar events globally. We continue to invest in our employees through training in a variety of areas, including safety. In 2017, we rolled out two-day workshops focusing on practical safety leadership skills to over 700 leaders across the globe. This program was initiated in North America in 2016 and expanded to South America and Europe in 2017, with plans to reach our entire global network by the end of 2018. 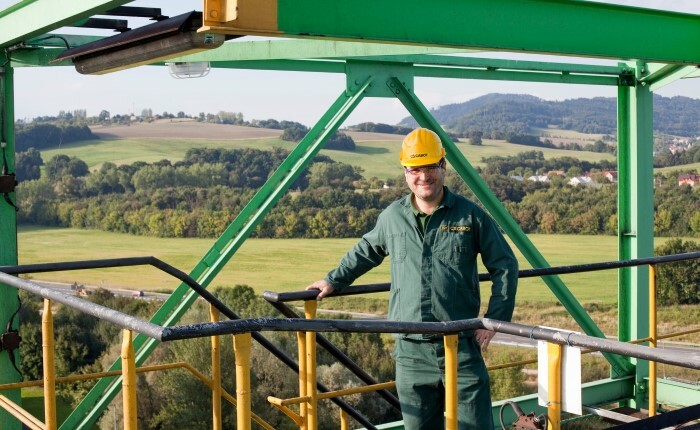 The program provides frontline leaders with a set of employee engagement tools and coaching methods that have been proven to show superior safety results, including the use of questioning techniques, case studies and practical exercises. The workshops focus on topics such as the critical role played by leaders, the value of personally surveying the site, addressing incorrect behaviors and recognizing and reinforcing positive actions. We perform Process Hazard Analyses (PHAs) to mitigate safety risks in our operations. PHAs are conducted regularly at our facilities to assess the risks and potential impacts of equipment or operational malfunctions. To best utilize the information learned from these analyses, we developed an ongoing program of webinars to connect those conducting PHAs, giving them the opportunity to receive training on PHA techniques, share best practices and discuss challenges.